In the beginning, Aristotle argued that it was best to be an aristocrat. For him, an aristocrat is someone who has their basic needs met and can therefore decide on their own what to do with their time. Beyond this, an aristocrat is an educated person. This education helps the aristocrat choose to use their time in a virtuous way, pursuing activities that the aristocrat believes to be good rather than activities that lead to wealth or status. The aristocrats have leisure and education, and therefore use their time to pursue the good. They are “the virtuous”. The “craftsmen” or “artisans” have less leisure and less education, and therefore use their time to pursue wealth and/or status. They are “the vulgar”. The slaves have very little leisure and education, and therefore are used as tools to create leisure and education for other people. They are “the slavish”. Aristotle supplemented his belief that you need leisure and education to live well with another belief that some people were just by nature incapable of figuring out what to do with themselves even if they are afforded these things. He called these people “natural slaves”. Because Aristotle lived in ancient times when resources were very scarce, he didn’t think it was possible for there to be aristocrats if there were no slaves, because slaves created the free time the aristocrats needed to get educated and pursue the good. The left doesn’t think there are natural slaves. But there are a lot of people on the left who think that education is good, and that education requires free time. These people think that if we have leisure and education, we will make better decisions about what to do with our lives. Some of these people also think that industrialisation is ending scarcity and creating abundance, and that we can use this abundance to make it possible for everyone to live like Aristotle. For them, that’s what the left is–expanding the set of people who have access to the aristocratic life until it includes everyone. On the other end of the spectrum, there are the “3rd World Marxists”, people like Mao Zedong and Frantz Fanon. These people think that western education is bad for you, because they think it encourages people to be right-wing. In a sense, Mao and Fanon think that western education doesn’t make us into aristocrats–they think it makes us into vulgar capitalists. Their solution is to find the group of people most isolated from western education–the rural peasants of very poor countries–and find a way to put them in charge. If western education fails to produce aristocrats, then the choice is between rule by the vulgar and rule by the slavish, and Mao and Fanon prefer the slavish. But Mao and Fanon aren’t totally satisfied with the slavish as they are–they still want the slavish to create some new kind of education. Unfortunately, they’re not totally sure what this education looks like. For one, Mao seemed to think that as soon as the peasants cease to be peasants, everything they say and do becomes deeply suspicious. That’s why Mao was always sending people away to live on farms and having students beat up their teachers. But if you’re spending your time being a farmer, how do you also spend your time getting educated? And if you beat up your teacher whenever they say something you don’t like, how does your teacher teach you anything new or controversial? 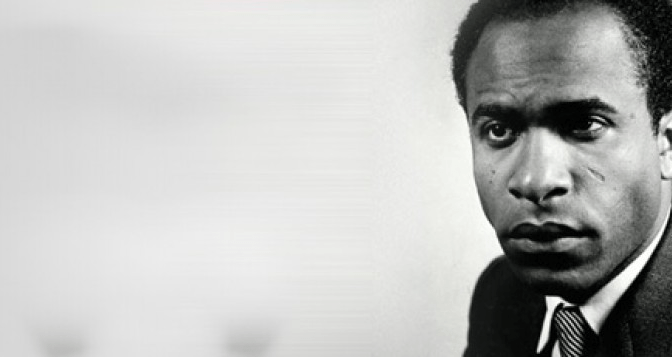 For two, Fanon was quite suspicious of his own education, because he was very aware of how western it was. So in Fanon’s case, he wasn’t even sure he was fit to prescribe an education program to the peasants. The most he could hope for is that the peasants would get all existentialist and use some kind of transcendent radical freedom to make something new. But on some level Fanon knows that’s a bunch of French hooey. New societies emerge from old societies. The slavish have been denied the leisure and education they would need to come up with something new. They have been oppressed and mistreated, and when they are empowered they return the violence and oppression they received. So when the slaves empower themselves, we get a reign of terror. Fanon saw this–he argued that a slave revolution would be full of “cathartic violence”. He hoped it would eventually somehow produce a transition to a newer, better society, but he feared it would just spiral. The organisations in the poor countries most committed to freeing their societies from western education and influence–Boko Haram and the Islamic State–are not offering an attractive alternative. They’re just killing and abusing people, especially women. Nevertheless, having been in universities for a while, Mao and Fanon have a point. A lot of people who go to universities don’t become aristocrats. They become really successful at pursuing vulgar ends. And a lot of the people who don’t go to universities are kinder and gentler than we are, despite all the terrible things we put them through. When I was younger, I was more technocratic than I am now. I used to think the people at the universities knew what they were doing, but were largely obstructed from having positive influence by our institutions. Having watched university people for a while, I can now say that while universities do produce some aristocrats, most university-educated people really are vulgar. So if we put the university-educated people in charge, we’d end up reinforcing the power of the vulgar. Aristotle is right that most of us need leisure and education to be good people. Mao and Fanon are right that our universities don’t provide that kind of education to most of the people who attend them. Despite this, somehow we do end up with some good people, in spite of ourselves. Some of the people who come out of our universities do genuinely think about this stuff and are real aristocrats. Some of the people who work for a living are savants at goodness and don’t need fancy education to figure it out. But if we put the university-educated people in charge, the good ones won’t win out, and we’ll get vulgar government. And if we put the workers in charge, the good ones won’t win out, and we’ll get terror. Somehow we have to get the good university people and the good working people into the same political movement. But it’s hard to do this, because we don’t trust each other. We fear they might kill us. They fear we might enslave them. A lot of this history has already been written. We have enslaved them. They have killed us. In practice, “should we all be aristocrats or peasants” often means “should we all go to universities or should we all work tough manual jobs”? Some people look at this and think the answer is “both”. But I’ll be honest with you–I don’t want to work on a farm. I wouldn’t be good at it and I wouldn’t enjoy it. I don’t think it’s the best way for me to spend my limited time here on earth. And I bet there are a lot of people who work on farms who don’t want to read political theory, because they don’t enjoy it and don’t want to spend their lives that way. Can we be egalitarians and accommodate that? If the liberals have anything right, it’s that we aren’t all going to agree about how to live. Reasonable people are going to want to do different things with their time, because reasonable people are going to have different understandings of the good, even with all the leisure and education in the world. A society that is really free will create the time and space for people to make these decisions for themselves. It will give them leisure, but it won’t make them go to a university or a farm, and it certainly won’t make them go to both of these places. It will let them choose what to do, and give them the resources to make any choice. We have to stop trying to use the education system to make everyone else like us. We need to give people time and resources and let them decide what to do with these things. That’s why freedom from necessity is so important for the left. Time is the most valuable thing. If you don’t control your time, you’re not free. Scarcity makes us surrender our time, if not to our boss or the collective then to necessity itself. There is no freedom until scarcity is dead. We can democratise the workforce, we can give people more say at work, but until it’s possible for all people to choose to be idle and still have their basic needs met, we’re not free. Until then, we will keep twisting our notions of the good life to justify our own submission to the demands of scarcity. We will keep living in mental prisons. Some of us might choose to do manual labour even if we were freed from necessity–we might not all run off to join Plato’s academy. But as long as we make people do it, as long as they don’t choose to do it, we cannot be sure that we’re not all rationalising our own lot in life. The sad thing is that we don’t have real abundance yet. We can’t give people real choices. Whether you flip burgers for a democratically run co-op or flip burgers for Burger King, for the moment you still have to flip burgers to make a living, regardless of whether it’s what you believe you ought to do with your life. It’s worth striving to improve working conditions for the burger-flippers. But one day we might be able to give them a real choice. Some might remain burger-flippers, some might not. I’d love to find out what they’d pick if they didn’t have to live in fear of the consequences. So the answer is not “we should all be aristocrats” or “we should all be peasants”. It’s not “why not both”. The answer is that we need to find a way to let people figure this out for themselves, without any pressure from the rest of us to come to any particular decision. That doesn’t just mean we don’t tell them what to do–it means we give them the resources to do whatever they choose. To get there, we need to end scarcity, and to end scarcity, we need to automate as much of the economy as possible. 20th century socialist proposals have been unsatisfying because they have all accommodated themselves to scarcity, and because of this they all involve making people do things they don’t believe in. In some of them, a dictator tells you what to do, and in some of them the demos does. It feels better when you get a vote, but a vote is not freedom. We’re still building a world fit for people to live in. It’s not ready yet.